One of the richest sources of information about any time period is the letters of the people, desribing and discussing just about every topic imaginable. 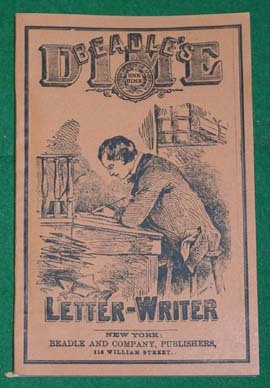 This short book was targeted toward assisting people of the period compose effective letters. They range from the very short but direct business letters, through a variety of letters to convey information or sentiments, and even including an entire chapter on writing love letters. The book is also useful for researchers in understanding the frequent use of foreign phrases by certain segments of society and abbreviations possibly unfamiliar to modern readers. Originally published in 1863.